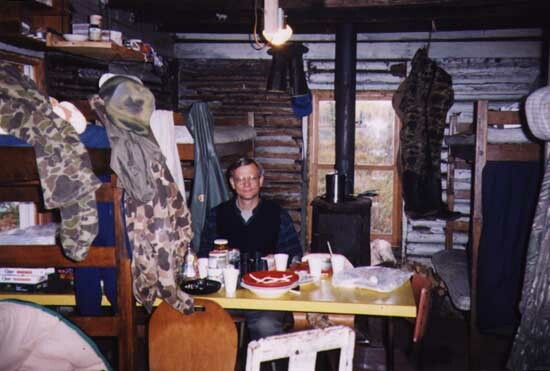 Uncle John at the dining room, living room, bedroom, sitting room, anteroom table. The spacious kitchen is appreciated by discriminating chefs. 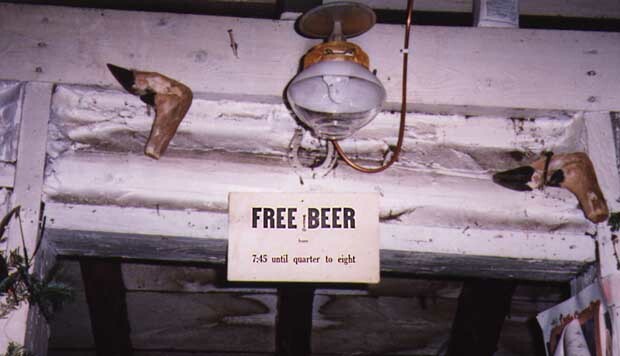 Not every establishment offers such enticements. The view of the lake from outside the shack. The field known as the lumber camp is just visible across the lake. 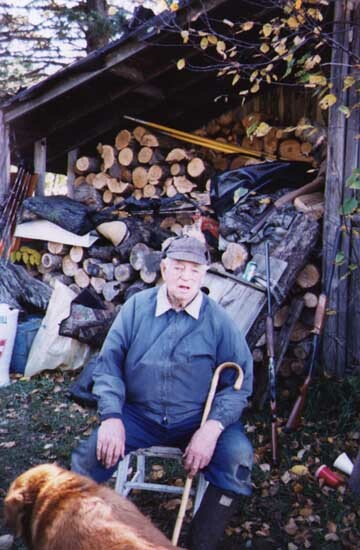 Grandad in front of the firewood supply, with Bess. 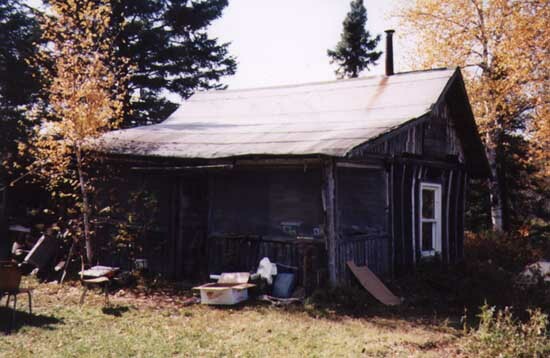 A story related to the shack and Grandad. 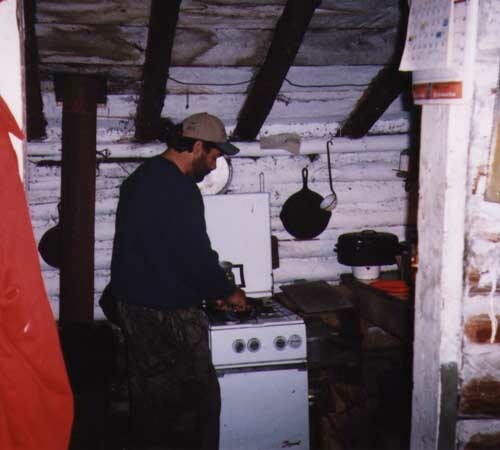 I think the images above are from autumn of 1997 or so and were provided by Uncle John. Uncle John has written some books on relaxation and sleep. 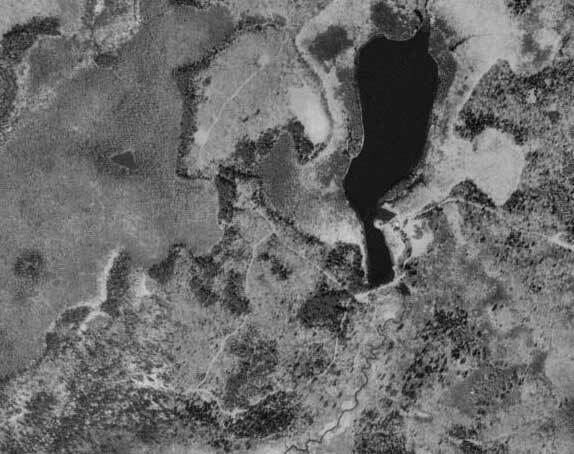 The image and map above show the shack and the lake† at 2 meter per pixel resolution. Images provided by USGS and Microsoft's Terraserver project. 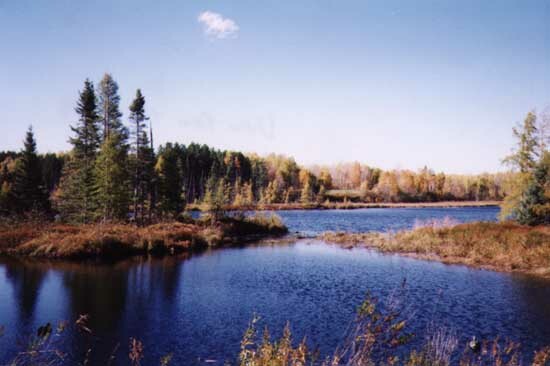 †The lake known to members of the Izaak Walton, Daniel Boone, Rip van Winkle Fishing, Hunting and Resting Club as Lake Kemosabe, is on Hoffman Creek.